I told you we would talk about planting bulbs this month, and now is the time to get out and do just that. You want to get bulbs into the ground before it freezes, and they need that cold period in order to flower. 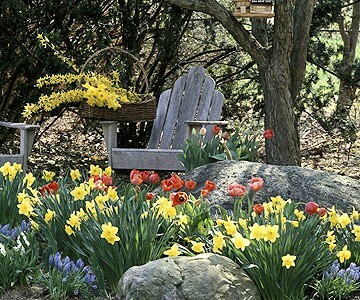 The good news is that bulbs are really easy so they're a great baby step for someone who wants to start working on their garden.You'll be so glad to see those bright colors in your garden after a long, cold winter! 1. Decide what groupings of bulbs (number, varieties) you want together and throw them on the ground casually for a more natural-looking arrangement. Don't over think this, just do it! 2. 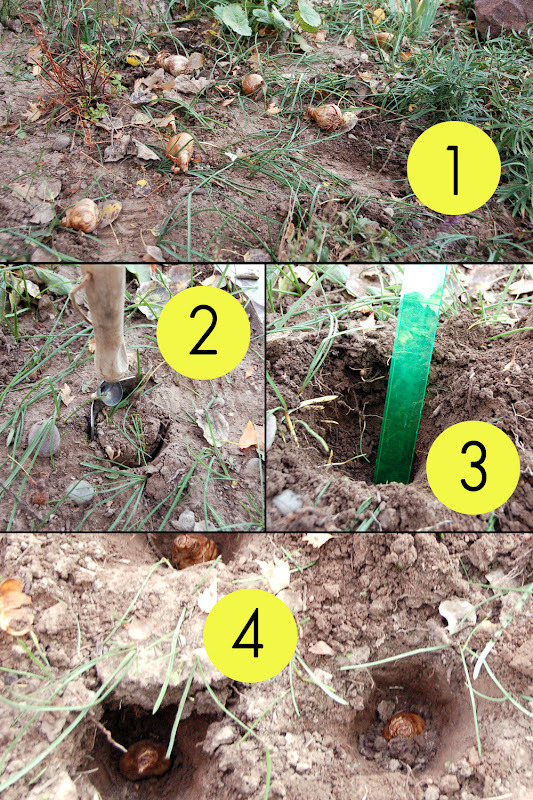 Dig holes for your bulbs. 3. 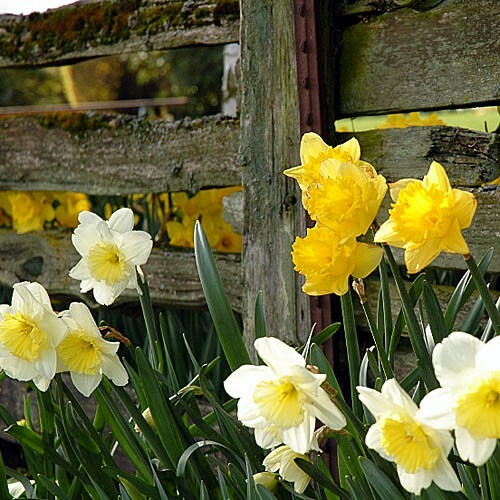 Daffodils usually require a 6-inch deep hole, but any package of bulbs should tell you how deep to plant depending on what bulbs you're using. 4. Replace soil, lightly tamp to make sure bulbs are secure and wait 'til spring! 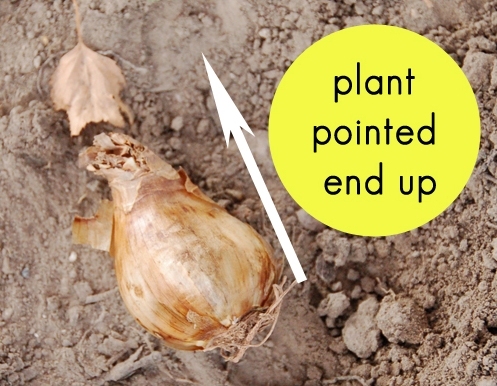 Plant bulbs with the pointed end up, as in the photo above -- but don't lose sleep over it because apparently most bulbs will turn themselves and pop up in the spring even if you make a mistake. Plant in groups for a more natural look - consider digging large holes/trenches and planting multiple bulbs close together. Group different varieties (daffodils and grape hyacinth look great together, for example), layering bloom time, height and color. Plant early-blooming bulbs throughout your lawn for a springtime show that will be spent by the time you pull out the lawn mower. IN THE GRASS!!!! I love that idea!!!! !